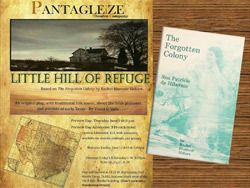 Check out the latest NEWS at PANTAGLEiZE Theatre and our latest Newsletter. 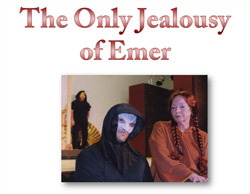 For more information, go to our Auditions and Casting page. 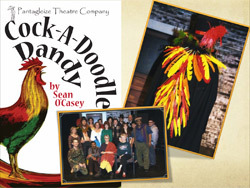 Find out about ticket specials, new show information, special events, and more! 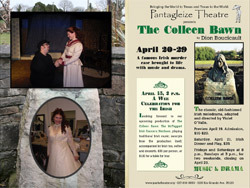 The mission of the Pantagleize Theatre Company is to bring plays from around the globe to Fort Worth, TX and develop original works by local playwrights to share with the world. Many thanks to Calvary Lutheran Church in Fort Worth for sharing their performance space with us for our annual story telling/ reader's theatre event. Decee Cornish and his merry band of liars deceived as usual; the Pantagleize Readers came through with a bit of Texas history, and Delta Theta Tau provided delicious refreshment. Viktor Anderrson, Musical Director of Calvary, brilliantly accompanied Troy Patterson, man of the golden voice, for some musical treats. 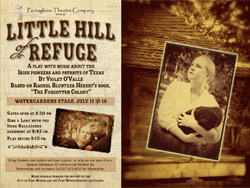 Little Hill of Refuge, our one act play about the Irish Texans of the Coastal Bend, has undergone expansion and revision and is now a full length delight of music and story entitled More Dear Than Gold: How the Irish Ransomed Texas. Based on journals, obituaries and letters of real people, it is living history. The traditional songs from both cultures, such as Kelly the Boy From Killane and Cotton-Eyed Joe, just go to prove that pioneering was more fun. than we thought. Violet O'Valle will be discussing evolution of the play at The American Conference for Irish Studies this month at the University of Cork, Ireland. 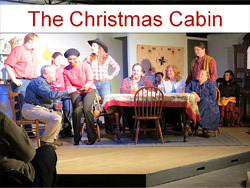 "Critics Choice for 2012 Best Theater Troupe in Fort Worth, FW Weekly"